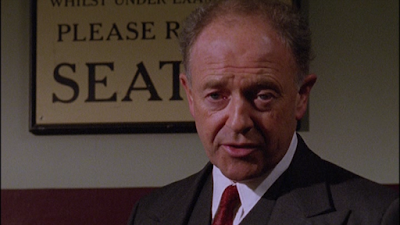 From the Archive: A British Television Blog: Michael Kitchen is Christopher Foyle! 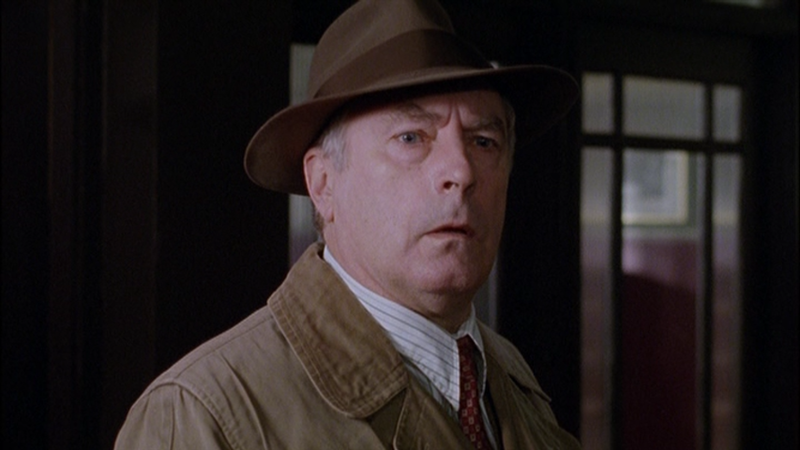 Michael Kitchen is Christopher Foyle! If you have not seen any of Foyle’s War, please note that this article is very spoilerific and I will give away plot points to not only this episode but the series. If you do not want to be spoiled please do not read further or read at your own risk. It is a little rare that I am writing about a series from the 21st century. I am actually quite serious about this point and there is a reason for it. When I started writing this blog at the end of 2007, I was really not well-versed in anything that was made past the mid-1990s and I was OK with that. I had pretty much discounted everything from that period on and as more programs were coming out, I was getting further and further behind. At one time when my friends thought I really knew something about British television but now I was someone who completely lost track and just knew the “old programs”. Then Foyle’s War came along. 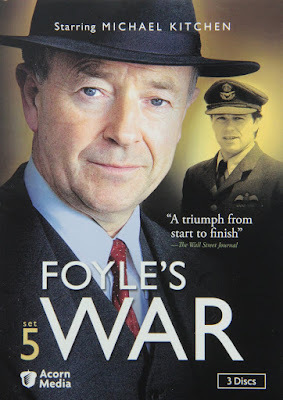 Although Foyle’s War started in 2002, it wasn’t until 2012 or so that I really ever gave it a chance and even that was not by choice. I had been writing this blog for some time and created a backlog of articles that are still available to read if you choose. I had decided that I wanted to get into the game of reviewing DVDs. I felt I had something to say and could write reasonably well. I didn’t want to do reviews on everything out there, I wanted to do reviews on British television releases, after all that is what the focus of this blog is, British television. That narrows things down a bit. I sent out letters to whoever’s name I could find that was related to companies that released British television media. I wanted to send them all examples of what I could write and see if they would be interested in letting me review their material. I sent a note to the editor of DVDTalk to see if he would ever consider having me as reviewer on his site. He wrote back and had a better idea. He had wondered if I would be interested in starting my own article on their site and write about streaming British television. That was amazing; this was what I wanted. We called it Brit-Streaming and the first studio we worked with was Acorn Media. They just launched Acorn TV and wanted us to write for them. I looked through their vast catalogue of material we could watch but there was a problem. All of these were new series! Nothing in it was archive vintage television which I knew so much about and it was outside my comfort zone. These were all contemporary series that were just made. What was I going to do with that? Then I saw Foyle’s War. 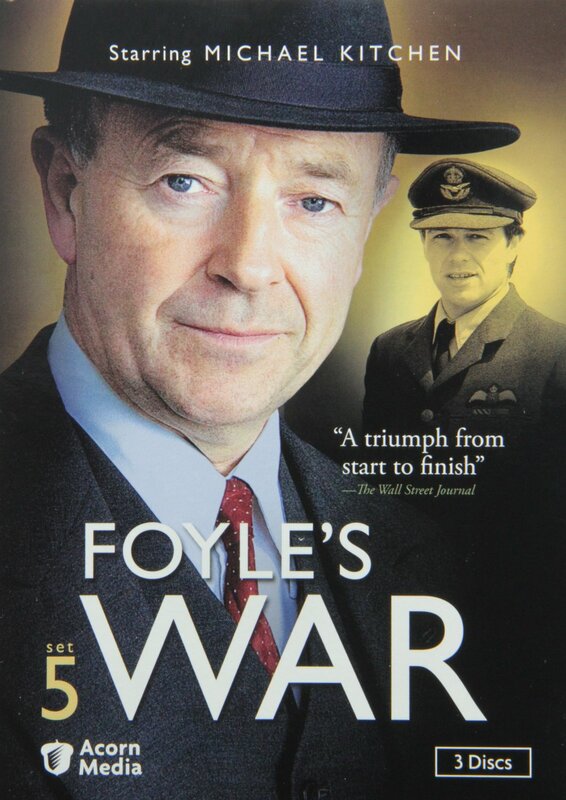 Being a consumer of Acorn Media’s output for some time, I couldn’t go far without seeing something about Foyle’s War in their advertising. Whether it was at a start of the DVDs or whatever, there was Michael Kitchen staring at me. Since I have been “followed” by Foyle’s War for so long, I decided to give it a shot for my new columm. New episodes were available for streaming. 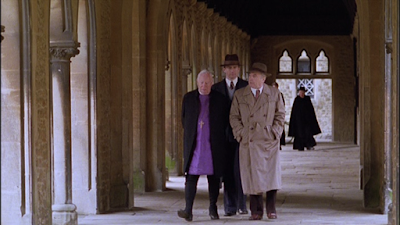 My first article of Brit-streaming was going to be about the World War II espionage series Foyle’s War. Series 6 was just released and I chose to write about the first episode of that series, The Russian House. The only problem was that Series 6 was the first series that took place after the war. They were mopping everything up, getting back to their lives. I missed the war! Whatever was I to do? We can get back to my dilemma in a little bit. 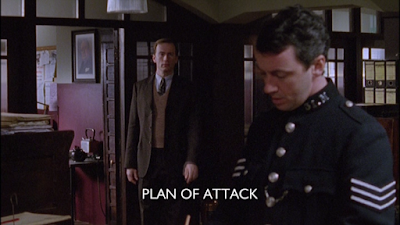 Clearly, I have since seen all the episodes of Foyle’s War by now so for this outing, we randomly go to the start of Series 5 which is the series before my first outing with Christopher Foyle. At this stage in the series, it is clear that the war is ending soon. There is still much to do but the British government and its people know that Germany and Hitler do not have a lot of time left. 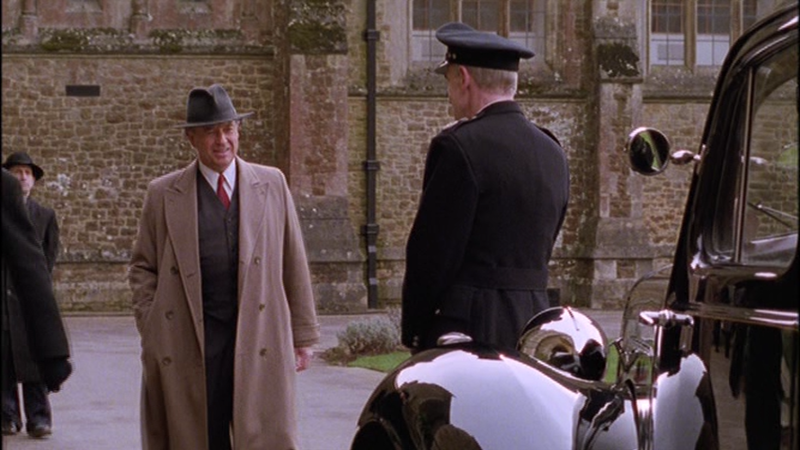 If you have not seen Foyle’s War, I would strongly suggest to take a look at it. To me Series 1-5 are the best. This deals directly with the war. 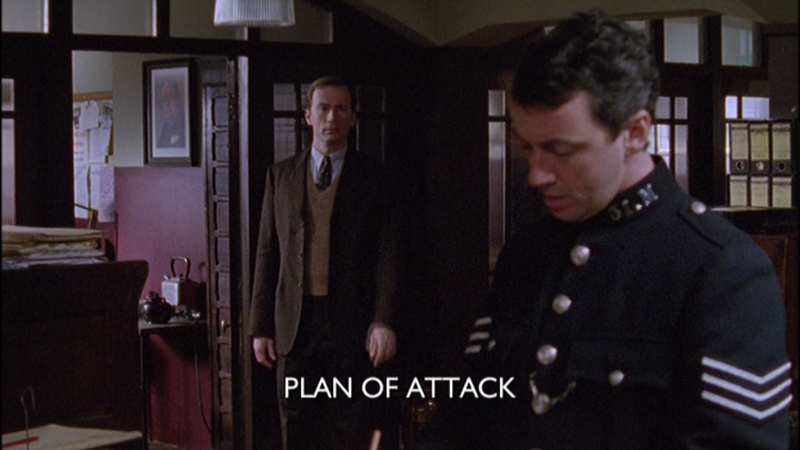 The series is about Detective Chief Superintendent Christopher Foyle who is in charge of a station. What is unique about this series is that although it takes place during the war, it is not necessarily about battles and soldiers. It about Foyle capturing criminals who take advantage of the wartime through profiteering and other offenses. The city under his jurisdiction is seaside and it is active with the war effort with multiple facilities built there to combat the enemy. His second in command is Sergeant Paul Milner and Foyle’s driver is young girl named Sam. The only thing about all of this is that Foyle resigned from the police force at the end of Series 4, so what is going on? There is a new DCS who has taken over since Foyle’s retirement, John Meredith, who doesn’t seem nearly as engaged as Foyle would have been. This is distressing enough for Milner to put in for transfer at another precinct. Foyle in the meantime has been working on a book he has been writing. With the help as Sam doing the typing, they are slowly getting through it. It appears Sam may not be the best typist around but Foyle is loyal to his friends and wants to make sure that she has some money coming in since she was let go from the station after Foyle resigned. There is something else going on. 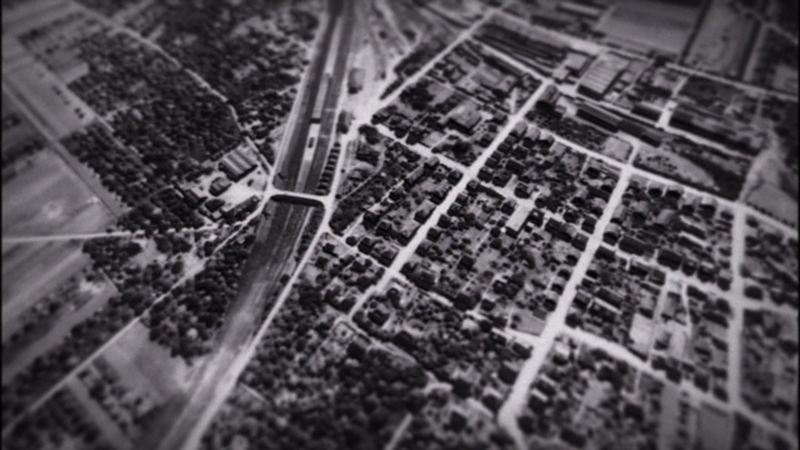 There is a secret base near town doing some of the most top secret work of the war. The work is map making of parts of Germany using what information they have from the 1930s and any kind of reconnaissance imagery. No one knows it exists and no one is allowed to talk about it. Henry Scott, though, is one person who works in this facility and he is a talented map maker but the problem is that he has a very hard time with the morality of working on maps that will kill people. In fact, he has befriended Father Keppler. 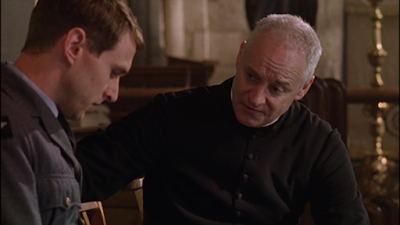 Father Keppler can help him ease that pain of what he is doing for the war. The interesting thing about Keppler is that he is German. Came over to England during the late 1930s. He was running from speaking out about what was happening in his country with the Nazi influence. He had to give up his life and parish in Germany to be able to stay alive. Henry will sometimes share what he knows because he feels bad that this priest is having his country blasted away by the allies. This is an interesting perspective that I never really heard of before I’d seen this episode. There is certainly a remorse from soldiers who kill their enemy or even having to kill innocent people for many different reasons, but I had never seen someone relatively removed from combat feel such remorse for what he had done. As mentioned above, he was very close to his faith and that is what was important to him. Even Father Keppler was more sympathetic to the Allies cause and understood innocent people sometime had to die, Henry was still resolute with his feelings. This theme goes a little deeper. By the time this episode happens, we are very close to D-Day. This is the start of the final push to Berlin. There becomes a bigger theological discussion of the ethics of what is happening and how to punish one’s enemy. This “conversation” is being led by Bishop Francis Wood. This isn’t a popular stance in the UK during this period but he is holding a conference in Foyle’s area and bringing in other priests to discuss the ramifications of what he is doing. Henry is not only over wrought by what is now happening in the war, he is unstable. He cannot look the woman he was close to, Jane, for something she had done; he refuses to even consider to forgive her for infidelity. Finally, it all weighs on him too heavily and it appears Henry has taken his on life. Christopher Foyle is no longer a commanding officer. His replacement, DCS Meredith, is now in charge. Milner has a suspect in for racketeering but is threatened by this person for arresting him. After that, Milner is nearly run down by a car but even worse, a night later, someone attempts to kill Milner by firing a gun at him. It just so happens that DCS Meredith gets in the way of the shot and is killed. At the end of Series 4, AC Parkins (played by Michael Jayston) was making things difficult for Foyle which is why Foyle retired. Now, Parkins tracks Foyle down at the priestly summit that he is attending asking him to take up his old job. There is something really wonderful watching Michael Kitchen play Christopher Foyle. It was commented on Wikipedia that Foyle speaks with precision. I love that description and it is very true. Foyle doesn’t display a ton of emotion but you know what he is thinking, whether he is kidding or not or whether your opinion doesn’t matter to him. Foyle is very fair but don’t cross him. I don’t mean that as in he will come out to gain revenge but more like if you let him down or disappoint him, there is no return. The plot for this story has a lot of layers to it. On the top layer, it looks like Henry is unstable and commits suicide while a racketeer boss ends up killing Meredith. What really is going on is that Henry knew a lot that was going on at Beverly Lodge which is where the map making is taking shape. 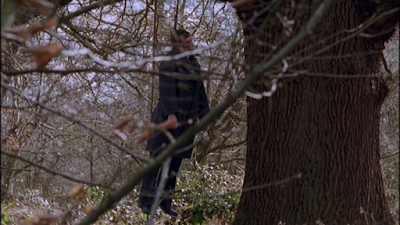 Milner doesn’t think Henry committed suicide for a variety of reasons and when Foyle is back on then force, he seeks permission to start investigating at the lodge, which up to that point had been off-limits. There Foyle uncovers that the commanding officer, Foster, was covering up for someone else. This is not directly connected to what happened to Henry but it leads Foyle to the truth. Foyle has this way of interrogating people almost in a similar vein as Columbo. What I mean by that is I feel there are a lot of times where Foyle knows the truth well before he let’s everyone else know. In some way, the line of questioning “toys” with the person who did the crime. It’s a mind game that’s fun to watch. Now, I’m not sure if that is true but it is a hypothesis of mine. So, when Foyle is at Beverly Lodge, he is talking to Richard Waterlow who was also doing an investigation at the lodge and looks through a binocular type object that shows two slightly different angles to a picture, making it look three dimensional. This is the clue that shows Foyle what is going on to solve the case. 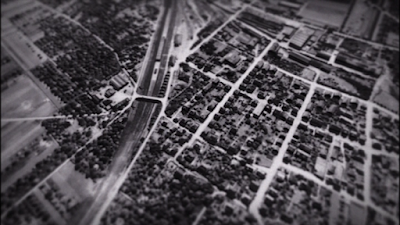 Before Henry left Beverly Lodge to kill himself, he grabbed one of the photos of the location Father Keppler came from in Germany. He took the picture from the lodge which is illegal. Foyle realized what Henry did. Foyle goes to the church that Keppler is the priest at and confronts him. Foyle tells Keppler that he knows Keppler is not a priest but a German spy. Foyle explains that he knows Henry had trusted Keppler and gave him sensitive information on bombings as a way to clear his own conscience with God. Then, when Henry saw the photograph of the village Keppler is from, he notices one thing on the photo…..there is no church. Henry knew that Keppler was a fraud and that is why Keppler had to kill him but do so in a way that made it look like suicide. How does this tie in with DCS Meredith’s death? Everyone thought it was the racketeers that orchestrated this murder but this was also Keppler. Keppler had tried to kill Milner and not Meredith because Keppler had given the wrong information of where he was from and what parish he led in Germany while he was being questioned by Milner about Henry’s death. He knew this was easy to cross check and he needed to eliminate Milner. Keppler called himself a patriot to Germany which is another call out to the messages we have been hearing all through out the episode. The idea of nothing is black & white or straight forward. We live on the side of what the Nazis and the rest of the Axis did during World War II was abhorrent, they believed what they were doing was correct. 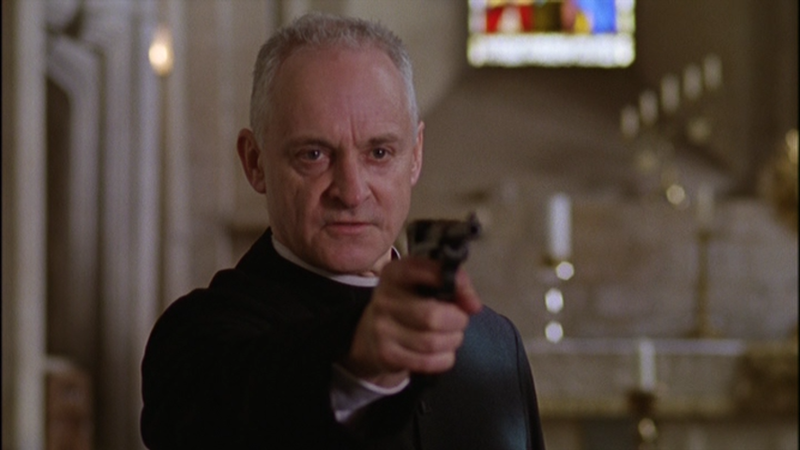 As Foyle arrests Keppler to bring him out of the church, Keppler pulls a gun on him to shoot Foyle. 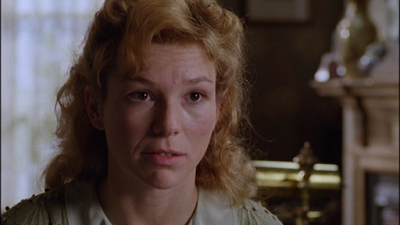 Foyle literally turns around to walk out telling Keppler to get his affairs in order, Keppler did and commits suicide. I had forgotten how much I enjoyed Foyle’s War. This is a tremendously well-made series that has a lot of great detail in the design and history of lesser known aspects of the war. It’s interesting with the direction the episode goes. It starts out about a man’s faith, I noted when I watched it that faith is very important to people during the war but there is a flipside to it. During the episode, DCS Meredith is having dinner with his wife. He is trying to have a conversation with her but she is unresponsive and uncaring. It isn’t until after his death we find out that their two young sons were killed in the line of duty just months apart. Later in the episode, Rev Stuart (Sam’s uncle we meet earlier) checks in on Meredith’s wife to see how she is doing after her husband’s death. She explains in no uncertain terms that faith is no longer important to her since both of her children were killed and has no compassion at all for the general population of Germany and what is coming their way. I am fairly confident that this is one instance of many. The characters and cast are quite good in this. Apart from the regulars, we have Malcolm Sinclair playing Father Keppler. I have seen Sinclair in a number of things but most notably for me he played Freddy Fisher in Pie in the Sky, and was also in the opening to the James Bond film Casino Royale. As mentioned earlier, he played the German priest though sometimes his accent sounded more French than German to me. Henry’s girlfriend Jane was played by Fiona Glascott. She is somewhat tortured by what happened to Henry and it looks like she has been permanently crying through out the episode. We have such great actors as Michael Jayston and even Clifford Rose as Bishop Francis Wood who himself played in another famous wartime series as Kessler in The Secret Army. One thing I forgot about these episode is that they were shot on film at this time of production. On DVD, you can see the grain and with the production values being so high, watching this episode is a very enjoyable experience. The music is wonderful and was composed by Jim Parker. Jim had done music for such series as The House of Cards and Midsomer Murders. I am a big fan of the work of Jim Parker and I will be listening to the Foyle’s War soundtrack soon. I want to do so for a couple of reasons: I know the music is good but at the same time, apart from the actual theme, I can’t actually remember what I hear that makes me say it is so good and I want to be able to do so. That being said, my favourite work of his is the music for The House of Cards. Every last note. It is incredible and I am really disappointed that we never got a soundtrack of that music. I watched this from the SD DVD. Like I said above, it looks great but with it being shot on a film, it would be nice to see it in HD. The series was shot on 16mm. It looks like the set is sold on Blu-ray from Australia but I don’t know if it is true HD or an upres of the existing SD masters. When I go to a retailer like Amazon in Australia, it doesn’t show up there. There is a just a dealer selling it on Amazon.co.uk so I think I will stick to my DVDs. What about Brit-streaming on DVDTalk? Even though I picked an episode of the series that took place after the war was over, I still enjoyed it though I wouldn’t recommend that is where people start their viewing of the series. Things started moving for me. At the same time that DVDTalk gave me the opportunity to write, Acorn Media got in touch with me to write reviews of their discs. Once I accepted, they sent me my first title which was the new version of the Forsythe Saga. Then I started reviewing the Agatha Christie's Poirot episodes. At the time this was happening, the BBC got back to me and said they loved my writing and said I could review their content too. The only problem was that I was in the US as I contacted the UK arm. I did more research to find contacts in the US for the BBC and they allowed me to review their content. Then if that wasn’t enough, BFI and Network allowed me to review their material. The funny thing is that I’ve read people comment to me saying they didn’t know that studios let “blogs” do reviews. Well, why not?The sad thing is now I don’t have time to do the reviews like I used to have back in the day. I turn down opportunities to review because I want to make sure I do good thorough reviews and not run through them quickly. Maybe I will one day soon. I only tell this story because it’s the old adage, “when it rains, it pours” or “careful for what you wish for as it might come true”. It was an amazing, exciting time as I did the research of who to talk to at the studios to allow me to review and sent about 10 of my favourite articles I wrote as examples. Since then, I’ve had many people e-mail me and ask for the names of my contacts at these studios so they can do reviews too. I go to their sites and they have no articles written. Right or wrong, I never reply. I did the due diligence of researching who I should talk to and also had a large catalog of articles even before I reached out. Sometimes you need to work hard to get what you want. I am extremely proud of my reviews and it all started with John at DVDTalk who gave me a chance. Thanks John! 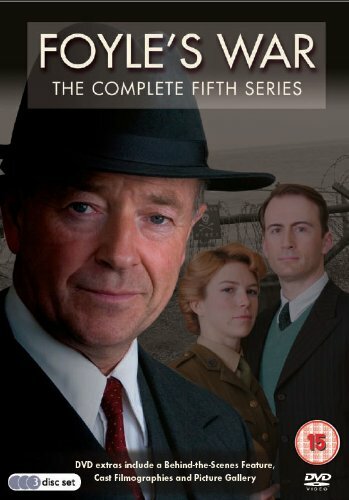 If you have never read one of my actual reviews of a DVD site, why not try reading my review of the massive Foyle’s War Homefront Files set. Next time: For some reason we celebrate Christmas in August with an episode from the Ghost Stories for Christmas Collection: The Treasure of Abbot Thomas. I am on Twitter: @FromtheArchive Please follow and re-tweet these article if you like them. 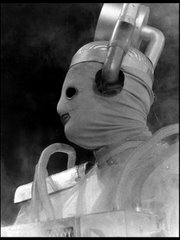 Also please subscribe to my From the Archive: British Television Blog Facebook Page for updates about new articles. You can also just click "like" on the top of the right sidebar too! Beane's of Boston Should Have Been A Series!